The money will be donated to a local non-profit to start a fund for residents and small business owners to help jump-start the economy. TALLAHASSEE, Fla. (WTXL) - One local family is raising money for Hurricane Michael victims one t-shirt at a time. For the Workmans, based in Tallahassee, they are seeing the devastation left behind by Hurricane Michael and it hasn't been easy. "With Hurricane Michael, we have family," said Alex Workman, #neverforgottencoast campaign cofounder. "My father-in-law and my wife's step mom live right outside of Mexico Beach and are business owners there. When we saw the devastation left behind by Hurricane Michael, we wanted to do something to help those affected by disaster." They decided to take matters into their own hands and raise money by selling t-shirts with the theme "The Never Forgotten Coast." Workman expresses that the journey is nothing like he expected. "The journey has been overwhelming," Workman said. "We've had an incredible outpouring in our community when we shared this idea. We expected to sell 50 to 100 shirts. We're at 850 pre-ordered. We have so many people in our home that have been so gracious to come and help pack and ship all of these shirts." More than 1,000 shirts are here at the Workman's and are ready to be shipped all across the nation. Kevin Lanier is a relative and resident of Mexico Beach. He was drastically impacted by Hurricane Michael. "I'm a charter boat owner in Mexico Beach," Lanier said. "Our boat was moved away and damaged. The Mexico Beach canal is destroyed. So currently we have nowhere to conduct business out of in Mexico Beach." Seeing how the well the t-shirt fundraiser is kicking off is something Lanier is personally grateful for. "It fills your heart because you know people in the community are reaching out and helping others," Lanier said. "We're filling orders as far away as Washington state and Montana. So people all across the country are feeling out pain and are trying to help as much as they can. We just can't say thank you enough." 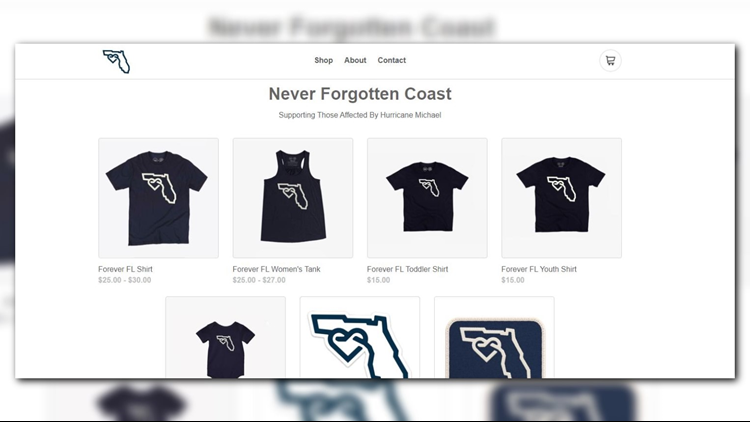 So far more than $10,000 have been raised through selling "The Never Forgotten Coast" t-shirts. The money will be donated to a local non-profit to start a fund for residents and small business owners to help jump-start the economy. T-shirt orders are expected to be shipped out in the next couple of days. This proves that those affected by Hurricane Michael will truly "Never be forgotten." 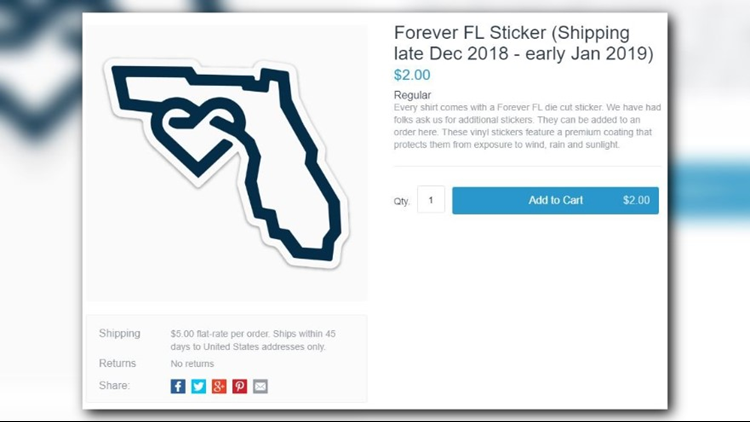 For more information, visit http://neverforgottencoast.com/.